High profile airline passengers are not the only ones upset at the service they're getting at Auckland Airport. Airline chiefs are also stepping up the fight for what they say is a fairer price regime for the service they get at Auckland Airport. The head of a new airline group representing carriers on both sides of the Tasman has attacked standards at Auckland's domestic terminal - which is now over 50 years old. Broadcaster Mike Hosking had a bad experience at the airport over the weekend and following a report in the Business Herald last week an economic consultant, Rodney Dickens, said he was concerned about the expansion of more duty-free outlets impeding passenger' movement through the airport. Dickens said Auckland was much like Melbourne's Tullamarine Airport. "In both airports travellers are forced to take much longer routes than needed to get from security checking to the boarding gate because they are forced to walk through the duty free precincts that snake around on themselves rather than travellers having the option of taking much shorter routes," he said. Melbourne was worse than Auckland but both very similar in terms of airports servicing themselves rather than core customers — the weary travellers forced to walk much further than needed in the interest in trying to "force" duty free shopping on them. "There is also a lack of clear signage for travellers to follow through the maze of duty free shops, especially in Melbourne but also now an issue in Auckland Airport. I can envisage some elderly travellers stuck forever in duty free unable to find their way out,'' Dickens said. The duty free area at Auckland Airport was expanded during the past year as part of its $1.8 billion expansion programme. During the past six months the airport's retail revenue was $88.9 million - the second biggest revenue earner behind passenger services charges. Transtasman airline rivals, Air New Zealand, Qantas-Jetstar, Virgin Australia, its budget arm Tigerair and Rex Air have got together to form A4ANZ to lobby on issues such as airport operations and efficient access to infrastructure. 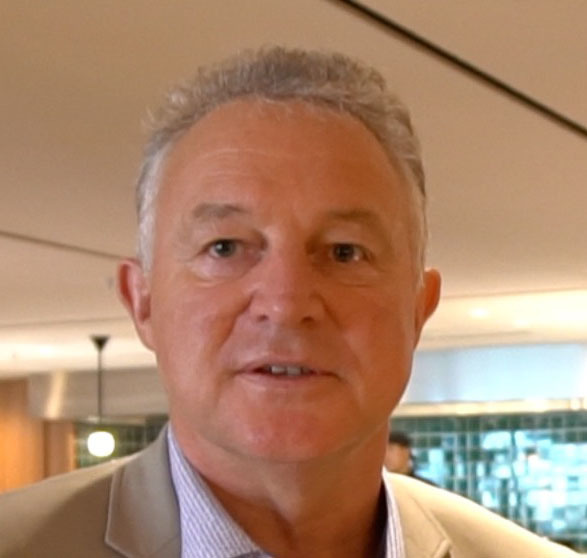 Its chairman Graeme Samuel has said Auckland's domestic terminal is substandard with over-emphasis on retail outlets and car promotions taking up space in the cramped area. Last week A4ANZ released a report which said Australian airports had made excess profits of $200m and Samuel said a report coming out on monitored airports in New Zealand was likely to paint an even worse picture. Air New Zealand chief executive Christopher Luxon said Auckland and Sydney were making "super profits" and his airline wanted a changed oversight regime by the Commerce Commission. Although the commission monitors aeronautical pricing, revenue from retail and car parking is not covered. "Ultimately all the added cost and the charging impacts the public because those are passed on with higher charges." His airline had good relationships with airports covering their operations and other initiatives such as tourism promotion, but it fundamentally disagreed with the pricing regime. But the New Zealand Airports Association said the regulatory regime was working and there was close monitoring. "The charges reflect the actual costs and is a fair and reasonable profit," said association chief executive Kevin Ward.